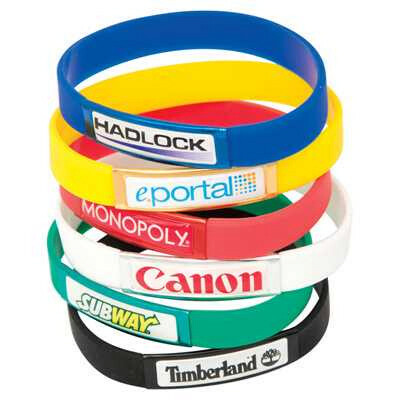 These promo-bands are made from silicone and are now available printed with a full colour logo which is protected by a clear UV resistant dome. Available in 13 vibrant colours. 202mm long (total circumference) x 12mm wide. Bulk packed. Royal Blue, Purple, Red, Tangerine, Hot Pink, Orange, Yellow/Gold, Fluro Green, Emerald Green, Fores. Price includes: Full Colour Print. Setup is included.